mPulse Mobile, a mobile experience-management company focused on consumer health and wellness, recently closed on a $1.7 million investment round (pre-series A) lead by OCA Ventures. This funding will enable mPulse to continue its organic growth and expand the sales and client support teams to further support its leadership in delivering mobile population health and member engagement solutions to health and wellness companies. OCA Ventures led the round with participation by Jumpstart Ventures, Merrick Ventures and individual investors. mPulse Mobile provides SaaS-based, HIPAA-compliant mobile messaging solutions that enable the secure delivery of health-related information. The mPulse contextual messaging platform improves message relevancy and ultimately engagement, driving significant ROI for the largest health plans and providers in the U.S. The mPulse solution has helped clients reduce readmissions and no show rates, and improve chronic care management, population health management, enrollment rates and medication adherence. mPulse Mobile offers healthcare organizations consumer-focused mobile messaging solutions that improve engagement and health outcomes. Delivering communications through multiple channels, mPulse capabilities include a secure, context-based, HIPAA-compliant platform. mPulse enables the leading health plans, providers and pharmaceutical companies to improve the health and wellbeing of consumers by making health care communications relevant to the modern lifestyle. 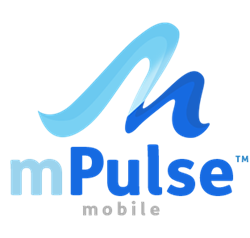 For more information, please visit mpulsemobile.com.